Sometimes it seems like the whole world is playing Minecraft, that online world of blocks, mining, and weird little green blokes who try to eat your pigs. Minecraft is so addictive and immersive that for some people it can become a way of life; a hobby and passion they take with them everywhere they go. But.... with so much time and effort spent in creating these blocky worlds, how can you be sure that your hard work won't be lost the next time your computer crashes, or if your laptop gets stolen? Easy, just make sure you've backed everything up to your Gameband, that way it will all be waiting for you on your wrist. Simply put, Gameband is a wearable. But unlike all the other pieces of wearable technology that we have reviewed in the past, Gameband couldn't care less about how many steps you've taken that day, or how many calories you've burnt. That is because Gameband is all about having fun – the fun you have while playing Minecraft. Think of it as a storage device that you wear, ensuring that no matter where you are, or what computer you are using, you'll be able to plug it in and pick up where you left off, and then make sure everything is saved once you're done. The product is a nicely weighted wrist band that pop opens to reveal a full-sized USB connector. Other than the soft-touch smooth plastic, the flexible, rubbery band that allows you to stretch it open, and the hand-painted steel section into which the USB slots, you'll also find a tiny button. 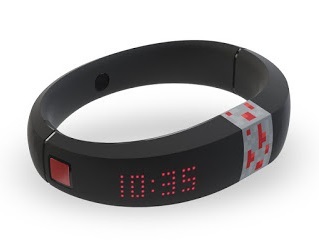 The creators of Gameband really want Minecrafters young and old to wear it at all times, and so have added a few fun features thanks to the LED display. A bank of red (or green if you get the Diamond version) LEDs sit just under the Gameband's surface, and with the tap of that button you can scroll through the time, date, a text message, a brief animation, and also small simple pictures. All these options, as well as your saved Minecraft data, is accessible via the pre-installed Gameband app that lives inside the Gameband itself. Therefore there is no need to install a new programme each time you access the info on a new computer. You just plug it in, select the Gameband icon, and everything is there. As well as choosing to continue with your Minecraft worlds, you can also select something called Pixel Furnace, a fun application that allows you to customise the LED display. To be honest we got wrapped up in this feature even before we tried saving any Minecraft data to the Gameband, as programming it with rude messages and crazy animations (there's a tonne of them to choose from already installed, with others available online from the Pixel Furnace dedicated site) was something of a fun distraction. What is great is that you can have as many or as few things happening on the Gameband, so if you want to use the display purely as a clock, you can – you simply disable all the other fun stuff. The brief animations – of creepers and landscapes and weapons that Minecraft users will instantly recognise – can also be edited within Pixel Furnace, allowing you to create your own unique sequences of randomness. 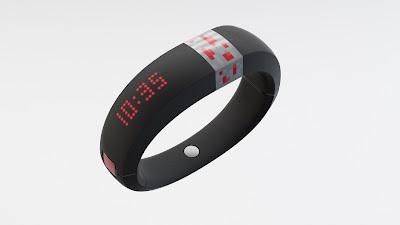 Gameband is an awesome idea that has been executed perfectly. This so easily could have been a dull flash drive on a lanyard, but by making it wrap around the wrist, and by adding the customisable elements, Gameband is attractive to Minecraft players of all ages and genders. Hell, even if you don't play, this is still a fun watch and wearable gadget. Now lets kick some Creeper arse!